FLEXMAIL 03-2015 - Hose crimpers, hydraulic crimpers, Workshop crimpers, Production crimpers : UNIFLEX of America LLC. 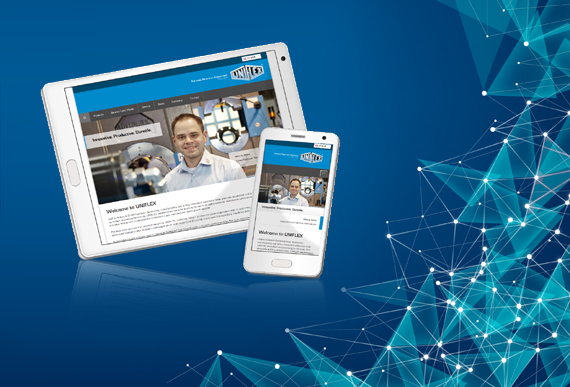 UNIFLEX, your partner in hose assembly equipment, is not only relaunching its website but also starting a new campaign in social networks. 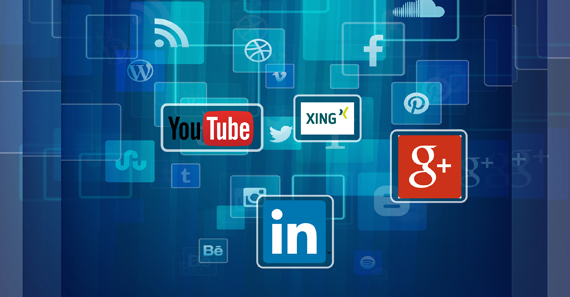 From now on, customers and business partners alike can obtain information about UNIFLEX products, events and market news through LinkedIn, Xing, YouTube and Google+. We are excited about this new opportunity to stay in contact with you. New presence of UNIFLEX - modernized and more customer-oriented! Our new website www.uniflex-hydraulics.com has been online only for a few weeks now. Thank you all for your compliments! A lot of UNIFLEX people worked together to build the new website. Customer service has always been at the core of our business, and social media is a whole new way to connect with customers. The design of the website has been modernized to adapt to our increasing standards and to provide a high-quality images on mobile devices. The new single phase 2" Hose Cutting Machine - Designed to perfection. UNIFLEX proudly presents its new EM 6 Ecoline MVC and EM 6 Ecoline MVD. 2,4 kW and a single phase-motor allows a worldwide usage of the machine. The smooth, clean cutting blade with diameter Ø10.8 in. and 3.1 in. 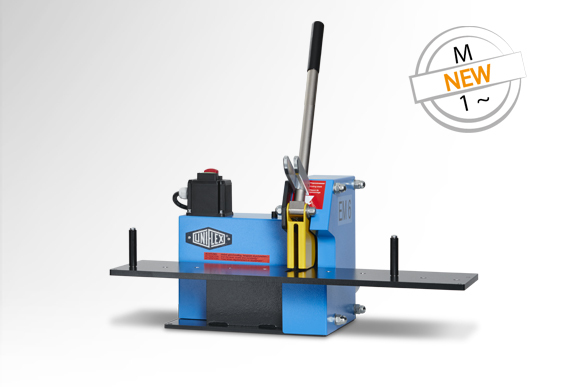 connecting piece of the EM 6 Ecoline MVC and MVD reduce smoke and contaminants in the hose and your shop while cutting with our machine. This cutting blade provides a clean, secure and precise cut. 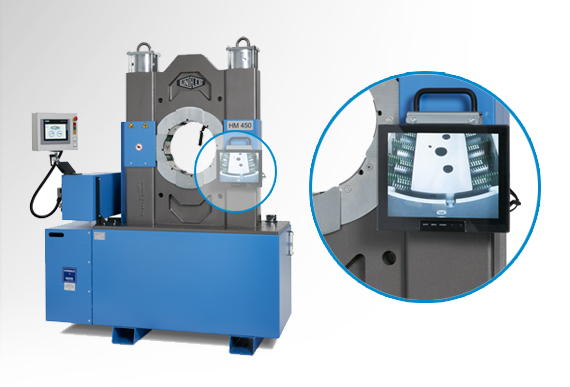 Higher efficiency and less mis-crimps through speed and precision. With the updated UNIFLEX OCS 10.2 Retro accessory all future crimpings will be made quick, easy and precise. The camera provides a clear view of the crimp area in the back of the machine so that you can easily position your hoses and crimp from the front of the machine. Adapted to your individual needs, you will have fewer mis-crimps. You can place your display as near to your working station as you prefer with the magnetic mount. The display is protected by acrylic glas. 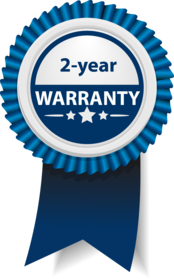 Uniflex-Hydraulik GmbH demonstrates their trust in its own technologies by providing you a 2-year warranty on every product*. Made in Germany and thoroughly checked by several highly trained employees before being shipped to your workshop. We are proud of our product designs, longevity of our machines and the strong relationships with our customers, suppliers and business partners. UNIFLEX’s precision-made components increase each machine’s durability and the quality of your products. Trust in our robust technology! * Even second-hand-machines have 1-year warranty.